You should always think about who your target audience is. This includes age, interests, what type of posts are drawing in more readers, what type of posts seem to not be so popular, and more. Once you understand your audience better, you can write better posts that will draw them in. It’s not enough to just know your audience. You have to interact with them as well. Interaction could be by responding to comments, questions, or concerns. It could also mean asking your audience what they would like to see more of. If your audience feels as though you are listening to them or care about them, they will come back again and again. The best bloggers find their niche by writing what they know on topics they enjoy to write about. There seems to be more passion and more creativity when you write about things that interest you. If you are writing on topics you dislike, are boring, or you have no great feelings for, your audience can sense that and your post may come off as dry. No matter what type of blog you are writing, it’s a good idea to build up your email list. This is important even if you are not into marketing or selling. An email list allows you to send out your new posts to your readers. This can help build an audience regardless of your search engine rankings. Of course, SEO is important to obtain more growth and consistency, but a good email list can draw in a good size audience. Being consistent is important for several reasons. For one, you need to be consistent with your posts. It’s a good idea to use an avenue such as WordPress and have a schedule set up as to when each post will be published. Consistency is also important in how you write your blog posts. You should follow some type of format and use that format often. It’s okay to change it up everyone once in awhile, but stick to guidelines as much as possible. Of course having a lot of posts is good, however, if you are always putting out sub-par blogs and not putting in the time to have quality content, then it doesn’t matter how many articles you write, no one wants to read poorly written articles. Keep in mind that you don’t have to publish everything you write. If something is not up to your standards, then don’t publish it or fix the mistakes and publish it at a later date. You really have to recognize what is good quality and what should sit on the back burner. Your titles and headlines need to be creative and interesting in order to pique the interest of your audience or to draw in new readers. Keep in mind titles and headlines should also be search engine friendly or written with SEO methods. However, sometimes a good title alone can bring traffic to your blog. Before you sit down to write, plan out what you will write. I like to actually do a little research before I write and as I research, I just write down a few words here and there that relate to the topic and will help me build a blog post. Other people like to create an outline. Some of my articles I write have a lot of formatting to them and keywords. For those articles I sketch out a simple outline and that shows me everything that is required in the article. Planning out your posts will help you to hit key points and write a better quality content. How you plan out your posts is up to you. You should plan it out in a way that will help you write better. Visuals, like videos and photos are also a great way to engage your audience. Take a few minutes to find photos and videos that relate to what you are writing about. However, be mindful of copyright laws. You can also take your own pictures or create your own videos. Social media is a great marketing tool. These days people are using Facebook, Instagram, Snapchat, and/or Twitter to advertise and market their blogs. Your posts on social media can actually draw traffic to your blog. So, if you are not using social media, you should be. Search Engine Optimization (SEO) helps others to find your blog articles. Using SEO methods can improve your rankings and allow you to have more traffic to your site. There are many tools and plugins out there to help you use SEO in a way that will promote your blog. So take some time to understand it and apply it to your page. Network with bloggers and others in the field that your blog is related to. Other people can help you to write better, you can have guest writers on your blog and advertise for others who in turn will advertise for you. Networking opens doors to new possibilities. Don’t just write, take them time to meet others and widen your audience. There are many blog tools, apps, plugins, and articles that will help you to make your blog more successful. Use tools that can help you to become a better blogger. Also, keep in mind that the internet is always changing, methods are always changing, so it is important to learn new blogging tools as you go. This way, your blog stays current. Another key point to bring up is that you should break up your content when writing. Write in short paragraphs. Also, it’s good to use bullet points or numbered lists. Many readers will see a long article and shy away from reading it. However, if you break up your content, you give the illusion that it is a shorter article and that helps keeps a potential reader on your blog page. 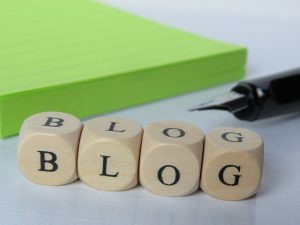 There are many great ideas to help you have a successful blog. If you take these tips and build upon them, you will be heading in the right direction as a blogger. The last tip I want to leave you with is this – ‘write, write, write.’ If you take time off of writing, it is hard to get back into the habit. So, write as much as you can. The more you write, the better you become. For more tips, follow us on Facebook!